We are pleased to announce that the firm has won China Business Law Award in the category of Employment and Industrial Relations. 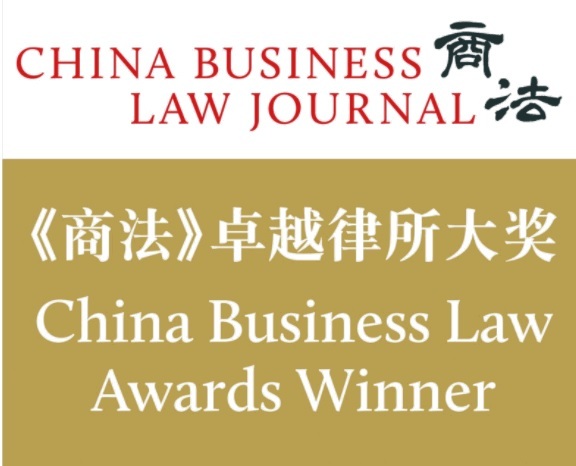 China Business Law Journal’s China Business Law Awards are based on hundreds of nominations received from China-focused corporate counsel and legal professionals around the world. In determining the winners, the nominations (and the justifications provided for each nomination) were considered carefully in combination with other factors, such as each firm’s landmark deals, cases and other notable achievements over the past year. They also consulted widely with law firm clients and conducted a large number of surveys to ascertain the level of satisfaction with the services provided by each firm. Walter Lee, partner of the firm's Employment practice, advises corporations and public bodies on contentious and non-contentious human resources matters, discrimination and equal opportunities, data protection and other compliance issues. He is chairman of the Employment Law Committee of The Law Society of Hong Kong.